Learn the science behind your pain or injury and take the first step on the road to recovery! Life is a sport and our bodies are designed to be active. Unfortunately, as more and more jobs require employees to be desk-bound, and as an increasing number of us choose leisure activities that leave us sedentary, we have seen problems like back, knee, neck, and shoulder pain steadily rise. Our priority here at the League Sports Rehab is to stop that from happening, and we believe education is the key. 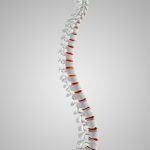 After each treatment, Doctors Wells and Plutchok will teach you how to take charge of your recovery by incorporating easy to follow mobility and strengthening exercises designed to keep you healthy. 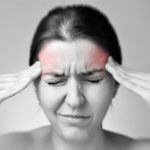 Expand each of the items below to learn more about some of the most common forms of pain and injury experienced by our patients. While not a comprehensive list, each of the ailments below are things we can help treat here at the League. The back is a complicated structure of bones, joints, ligaments and muscles. You can sprain ligaments, strain muscles, rupture disks, and irritate joints, all of which can lead to back pain. Arthritis, poor posture, obesity, and psychological stress can cause or complicate back pain. Back pain can also directly result from disease of the internal organs, such as kidney stones, kidney infections, blood clots, or bone loss. Ankle sprains result from stretching the ligaments beyond their ability causing them to tear. Certain factors increase the likelihood of ankle sprain occurrence, including: flimsiness and laxity of the ligaments, or loose bone fragments in the ankle joint; a condition associated with arthritis. Ankle sprains are classified into grades from I to III and can create chronic ankle instability if not treated early. 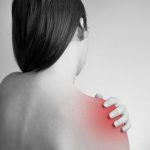 Repetitive strain injury (RSI) refers to injuries that occur to joints and muscle groups that become fatigued and injured due to overuse. 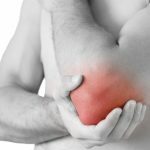 The most common areas of the body that are afflicted are the hands, wrists, and forearms, shoulders, shins, and knees. RSI can occur among athletes, and non-athlete patients alike. Aside from overuse, other factors such as a weak physique, poor posture, and improper form or technique are among the cause of the injury. Signs and symptoms include pain, numbness, tightness, discomfort, and difficulty in motion and flexibility. Knee pain can be caused by trauma, misalignment, and degeneration as well as by conditions like arthritis. Non-traumatic knee disorders generally take one of two forms. One type involves a tissue-related problem that creates pressure and irritation in the knee between the patella and the trochlea, causing pain in the patient. The second class of knee disorders involves a tear, slippage, or dislocation that impairs the structural ability of the knee to balance the leg. This may cause either pain, a sense of poor balance, or both in a patient. The hip joint is the largest ball and socket joint in the body. Despite its durability, the hip joint isn't indestructible. With age and use, the cartilage can wear down or become damaged. Muscles and tendons in the hip can get overused, and the hip bone itself can be fractured during a fall or other injury. Any of these conditions can lead to hip pain. Some symptoms will worsen with activity, especially in the case of arthritis. You may develop a limp, or find that your range of motion has been reduced. Pain may also be felt in the thigh, groin, inside of the hip joint, the buttocks, and the outside of the hip. Our neck, also called the cervical spine, begins at the base of the skull and contains seven small vertebrae. Incredibly, the cervical spine supports the full weight of your head, which weighs an average of 12 pounds. While the cervical spine can move your head in nearly every direction, this flexibility makes the neck very susceptible to pain and injury. Activities and events that affect cervical biomechanics include extended sitting, repetitive movement, accidents, falls and blows to the body or head, normal aging, and everyday wear and tear. The carpal tunnel is a narrow passageway of ligament and bones at the base of the hand that houses and protects tendons and the median nerve. The median nerve controls movement and feeling in the thumb and the fingers. Carpal tunnel syndrome is an overuse condition in which pressure is put on that nerve. The trauma can also cause the tendons to become inflamed. The condition affects hundreds of thousands of individuals, including many athletes. Rib pain can be extremely painful and difficult to treat. The ribs make up the thoracic cage (protecting our most vital organs) and the majority of them originate from our mid-back (thoracic), attaching to our sternum and surrounding cartilage. Many times posterior rib pain presents itself as a large spasm between the shoulder blades that wont respond to massage, ice or heat. There are muscles, nerves, and fascia that run between each rib, and many structures that attach to the ribcage that must all be addressed. 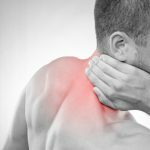 Sports injuries, car accidents, shoulder pain, sleeping positions, poor posture, improper breathing technique, and many other factors can lead to rib pain. With our techniques, we can address both the front and back rib attachments, the soft tissue connections, and the nerve entrapments within.